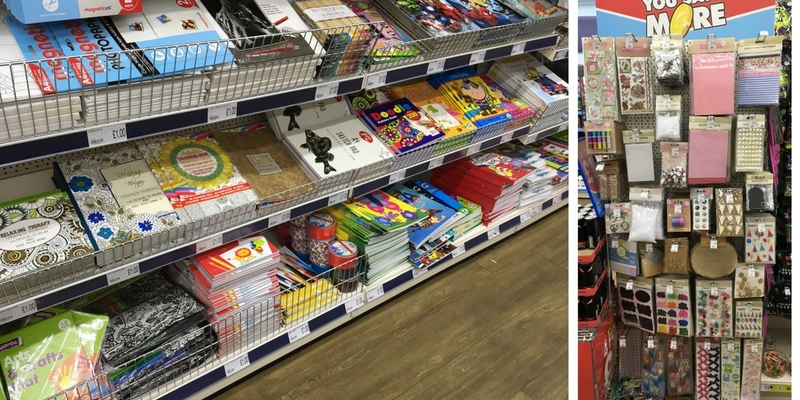 The new look Poundworld Plus opened on Thursday of this week with the first 100 customers through the door receiving a goody bag each. The Wisbech store is only the second of the new concept stores to be opened so far and will be followed by the Canterbury store. I was given a tour by Chris who explained the new layout very well. He also mentioned that today (Saturday 8th October 2016) there will be an open day whereby customers have the opportunity to win prizes as part of its big envelope give away. Free face painting will also be available for youngsters. 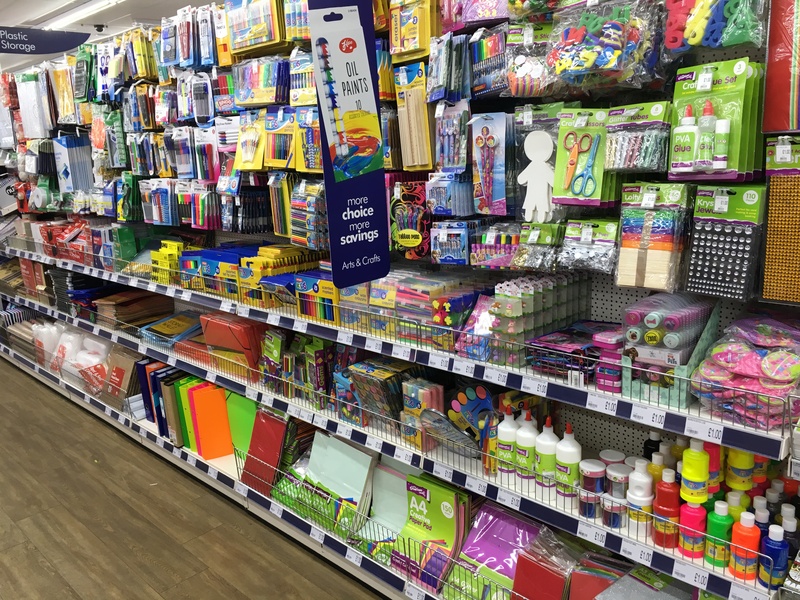 Whats new at Poundworld Plus? Well, the first thing you will notice is the new navigational signage. All of the departments are clearly labeled, making it much easier to find what you need. Chris mentioned that they have already had customers comment that they appreciate this, so it’s clearly making a difference. 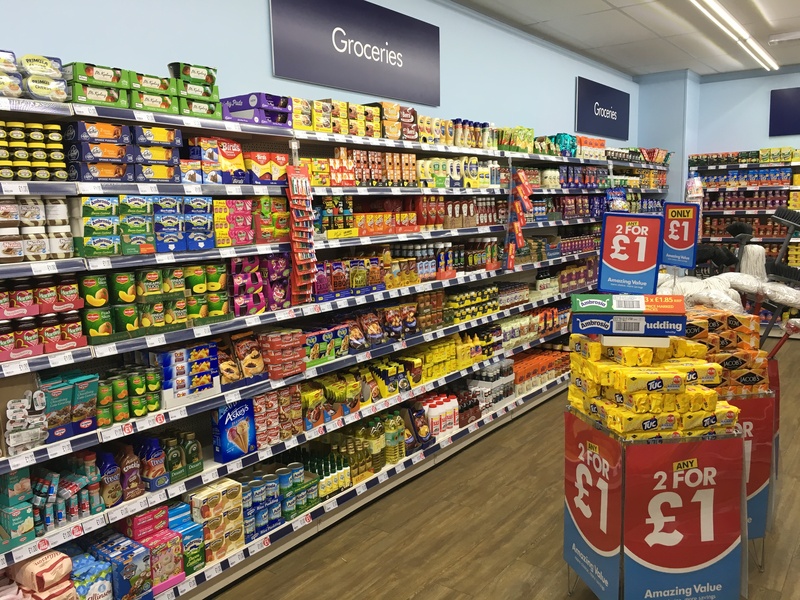 The new higher price points are noticeable all around the store – but don’t be put off – They aren’t massive prices and about 75% of the lines they stock remain £1. At the start of your journey around you will find some of their most popular lines in what they call their ‘you save more’ items. As far as I could tell, these were items of big brand names but were on various different offers, making them often cheaper than main supermarkets. Next is the health and beauty section. The range of toiletries is impressive. So many top brands for brilliant prices, especially when it comes to feminine hygiene products. Unless there is an offer on, it is very unlikely you’ll find branded sanitary towels and the like in a supermarket for as little as a quid. These are absolute necessities so it’s great to see them priced so low. I’ve heard good things about their Miss Beauty makeup range but I don’t wear much myself so I picked myself up a nice plum colour nail varnish to try out. I also grabbed some Garnier Micella cleansing water and a bottle of Aussie hair conditioner. I scanned both of these on my supermarket shopping app and the Micella water for the same sized bottle was £2, so twice the price.. the real shocker though was Aussie. The exact same bottle that I paid £1 for, is being sold for £4 in the supermarket. Wow! 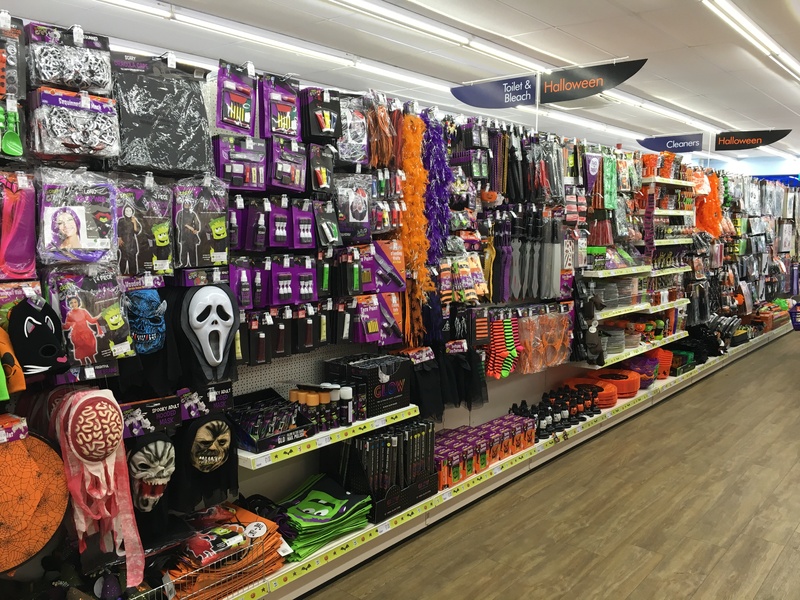 The seasonal aisle is currently filled with Halloween goodies and let me tell you, the range is fantastic. I think I counted 11 bays of stock and one end bay around the corner too. So. Much. Stuff! I can’t wait for the Christmas range to fill all these shelves on Nov 1st. I will definitley be back! There is already a small amount of Christmas stock so we did manage to get one or two bits to start us off but if you know me at all, you’ll know I think about christmas all year round. I’m that annoying person that is always first with their lights and tree up, I have way more Christmas jumpers and t’shirts than any person actually needs and I just become the absolute biggest child you have ever seen! 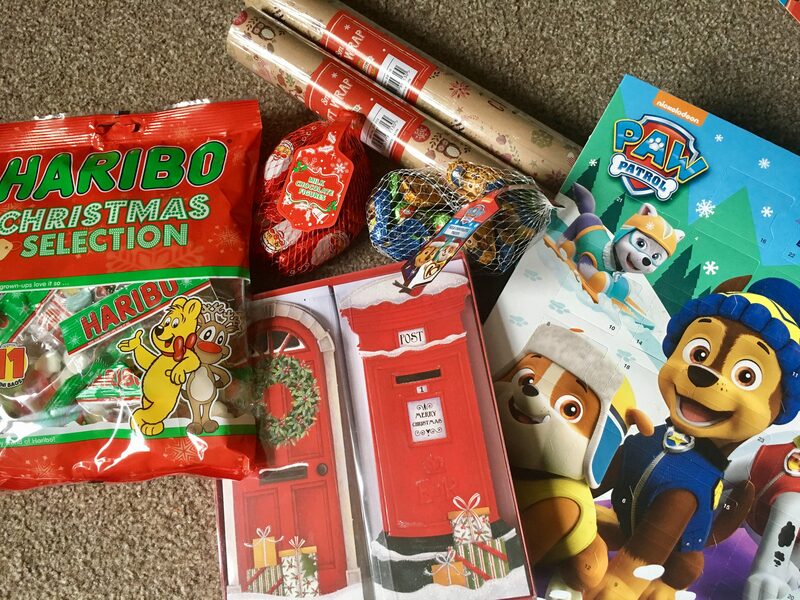 So far I have some lovely gift wrap, cards, some christmas sweets and Dexter has a PawPatrol advent calendar. Working our way around the rest of the store, it’s clear that whilst not a lot has changed to the untrained eye, there are small differences that make it so much easier to shop and navigate. It’s clear the the range of items has increased meaning its not the stuff they already sold which has the higher prices. They have bought in new ranges and products. For example, Chris said they had a new range of home wares that were really well suited to Uni students going off for the first time and actually living away from home. That whole range did really well in September. Before now, Poundworld most definitely wouldn’t have been the first place I’d have thought of for that kind of thing. The DIY section has had little change but still has a massive price difference to some mainstream DIY stores. I managed to refrain somewhat as I was on a limited budget but have some wedding pieces to make for a friend so I know where I’ll be making my first stop. I got myself some patterned card for my memories book, some teeny weeny little pegs (also for my memories book) and some paint brushes and string for Dexter. We have a huge chest of craft stuff but don’t have many stringy bits so I’m sure I will find a use for them with some sort of craft. Look at it!! Just look at all that stuff! I NEED this! The baby section is great and I was surprised to see it even had a bay of Nûby products. I’ve loved using their stuff with both Dexter and Paisley so I recommend popping in to have a look at this. The last section we looked at was the food. We often get a few bits in here when they aren’t on offer in the supermarkets (can you tellI like an offer? Haha). Things like Branston Beans for example, normally can be found in here for 3 for £1 so it’s most certainly a good place to top up your shop. Again, the range here is massive and all well known brands. Overall, we found the new look store to be very clear and easy to navigate. The staff were knowledgeable and the place was very tidy. Shelves were being constantly replenished and we had a great shopping experience. The new higher price points are great. They aren’t so high that they put you off shopping there ( I think most of them are only £2 or £3 but there are a few higher ones) but obviously they have made a big difference in the amount of items they can stock. 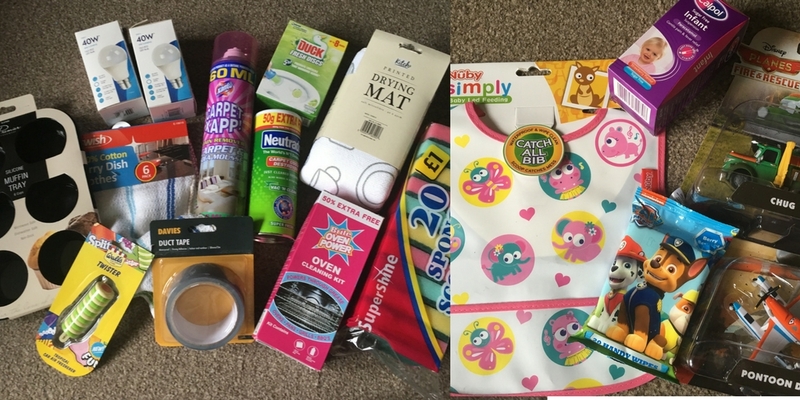 Some other things we purchased on the day are… Lots of household stuff including various cleaning supplies and lightbulbs, some kids essentials including a new Nûby bib for Paisley, some mucky hand wipes for in the car, Calpol and some toys. I can’t show you everything we bought as like I said, some of it is for gifts but we did get quite a number of items for the grand total of £50. The Wisbech store is open 9am-8pm Monday to Friday & Saturday 8.30am -7pm. I believe this is the same for most, if not all of the stores with variations on Sunday hours but you might need to check with your local one. Sundays in Wisbech are 10am-4pm. Quite a number of the stores will be making the transition from Poundworld to Poundworld Plus over the coming months. I’ll be interested to know what you think. After all, I don’t know anyone that couldn’t do with saving a few quid. Definitely worth a look. So many food bargains!